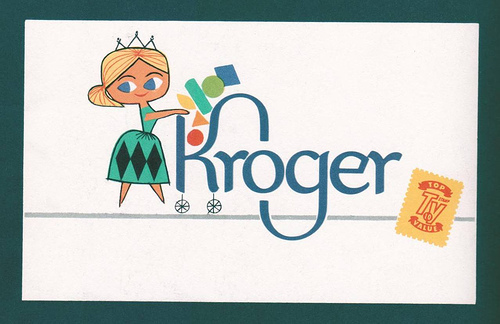 Did you know that in the 1950s Kroger supermarkets had a mascot called Little Miss Kroger? 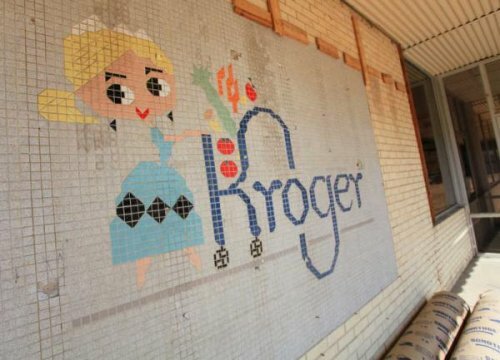 The tile mosaic above was discovered during renovations of a Kroger in Conway, Arkansas this past year. And below is what Little Miss Kroger looks like in her non-mosaic form.